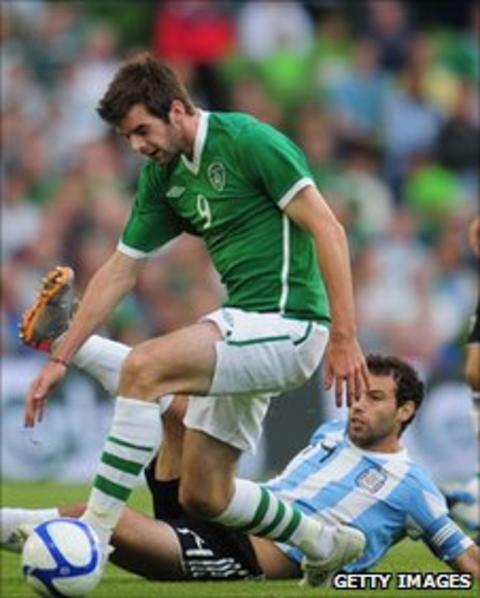 Hibs are awaiting an answer from CSKA Sofia over their attempts to sign former Celtic striker Cillian Sheridan. The Irishman impressed manager Colin Calderwood on trial but has two years left on his contract with the Bulgarian club. "We've made an offer to Cillian and his agent," Colin Calderwood told the club's website. "But really the offer is to the other club, so we are waiting to hear back from them." Calderwood is also looking to secure international clearance for another trialist, Junior Agogo, to sign. The 32-year-old played under Calderwood at Nottingham Forest and is a free agent after a spell in Cyprus with Apollon Limassol.